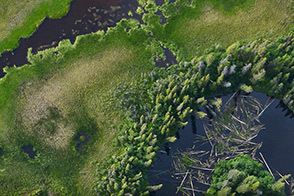 Home to many natural wonders and resources, Canada’s Northwest Territories have undergone increased development in recent years. 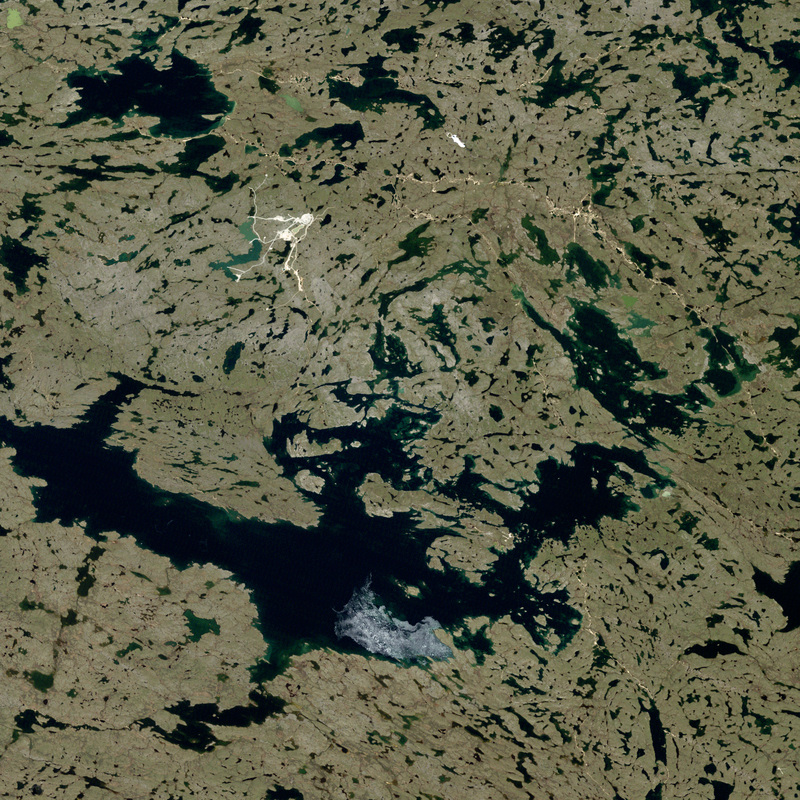 One area of highly visible development has been the Lac de Gras kimberlite field, about 220 kilometers (150 miles) south of the Arctic Circle. Kimberlites mean one thing: diamonds. Named for deposits first found in Kimberly, South Africa, kimberlites are forged deep within Earth’s mantle. Under intense pressure and heat, carbon is squeezed into diamonds and then erupted to the surface in kimberlite pipes. 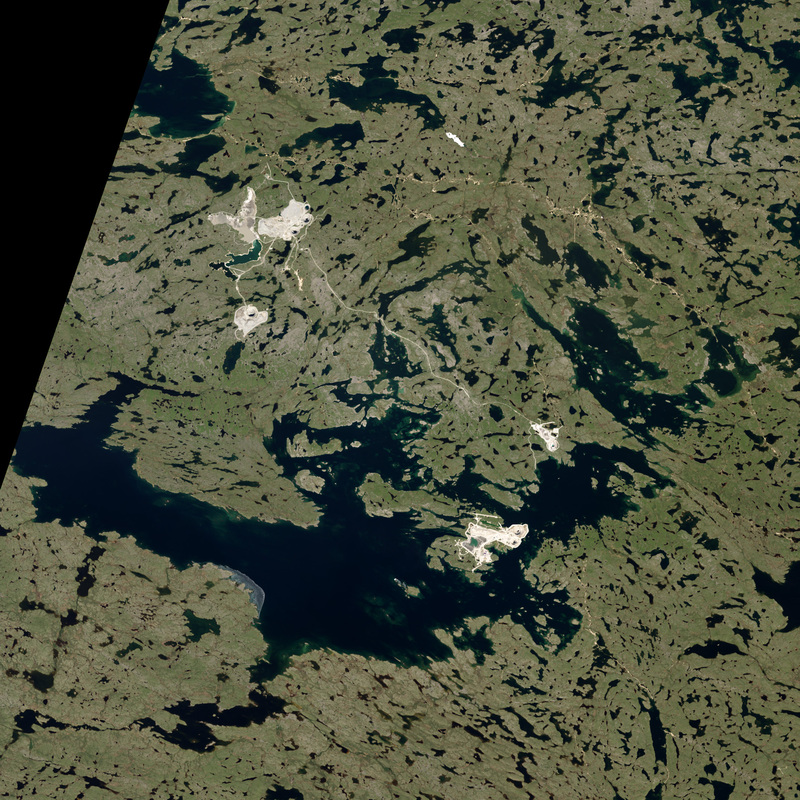 The Lac de Gras kimberlite field in Canada is one of those places where diamonds have been pushed toward the surface, so the region has been developed extensively over the past decade to harvest the valuable geological deposits. 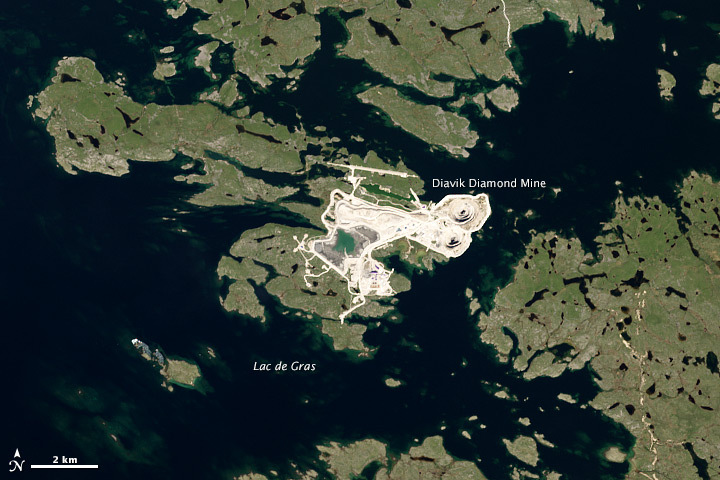 One such development is the Diavik Diamond Mine, which opened in 2003. The operation employs 700 people, produces about 1,500 kilograms of diamonds each year, and grosses $100 million (Canadian) in annual sales. 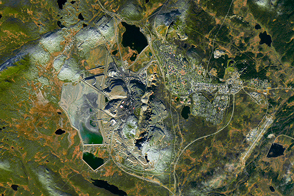 The nearby Ekati Diamond Mine opened in 1998 and has a similar annual production to Diavik. Download the large images to see Ekati. 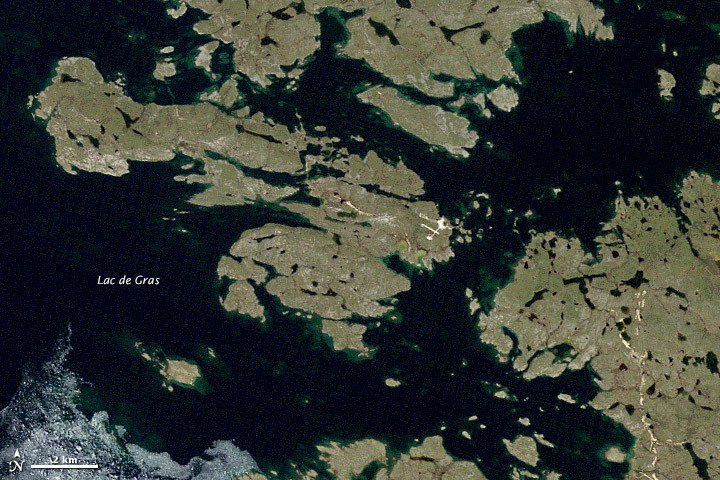 The images at the top of this page were captured by the Landsat 5 satellite on July 3, 1998 (top), and by Landsat 8 on July 5, 2013. They show an area centered around 64.50° North and 110.27° West. (Turn on the image-comparison tool to see the fine details of development.) The mine was started as an open pit, so great changes occurred in the past 15 years. However, future changes are not likely to be as visible at the surface because the operators of Diavik have transitioned most production underground. Diavik Diamond Mine is essentially an industrial complex and town in one, all set in a remote, sub-Arctic landscape. 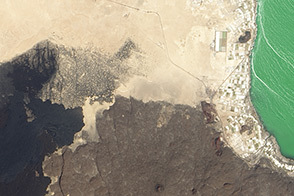 In the 2013 image, you can see two main open pits, waste rock piles, and an airstrip capable of landing aircraft as large as 737s and C-130s. The complex also houses processing plants, fuel tanks, water and sewage processing facilities, administrative buildings, and accommodations for workers and other residents. Earth Observatory images by Robert Simmon, using data provided by the U.S. Geological Survey. Caption by Allen Pope (@PopePolar), with Mike Carlowicz. Deep in Canada’s Northwest Territories, miners have carved out a living from an ancient kimberlite field. CBC News (2013, July 20) N.W.T. board approves territory’s 4th diamond mine Accessed July 25, 2014. HowStuffWorks Carbon and Kimberlite. Accessed July 25, 2014. Missens, R., et al. (2007). Aboriginal partnerships in Canada: focus on the Diavik Diamond Mine. Journal of Enterprising Communities: People and Places in the Global Economy, (1) 54–76. National Public Radio (2008, December 11) Mining for Diamonds in the Canadian Rough. Accessed July 25, 2014. Natural Resources Canada (2002, June 1) Geology, Lac de Gras kimberlite field. Accessed July 25, 2014. 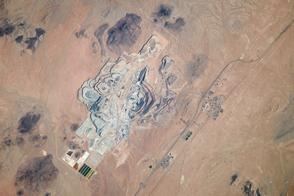 Wikipedia (2014) Diavik Diamond Mine. Accessed July 25, 2014. Wikipedia (2014) Lac de Gras kimberlite field. Accessed July 25, 2014.